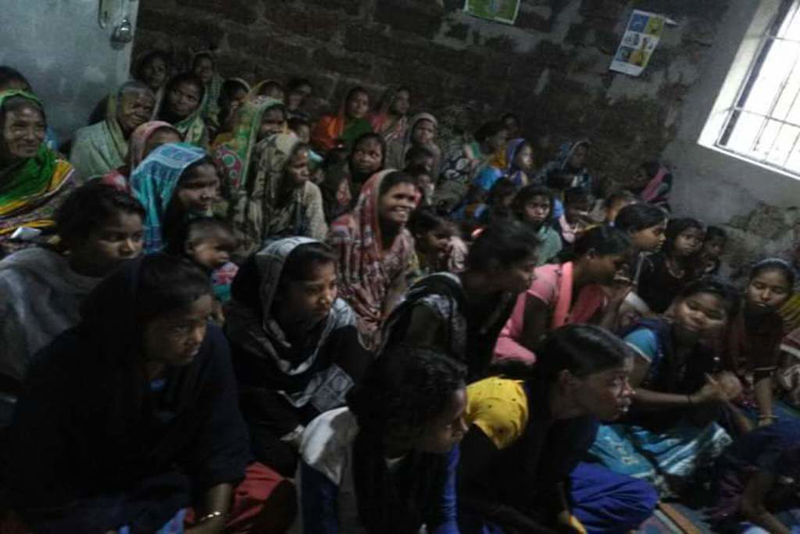 On the 8th March as the whole world celebrated International Women’s Day with shopping offers and beauty care package discounts, our villages in the state of Orissa found a new and a more meaningful approach. Amrita SeRVe village coordinator for the villages of Bindhyagiri, Guptapada and Haridamada in Orissa, Mr Ashit Patnayak, met the doctors and official of the SUM hospital and Rural Health Center and requested them to visit our villages to give our villages awareness on women’s personal hygiene, breast cancer and cervical cancer. He explained to them that he felt the women were not following hygienic practices and that they needed some professional advice. The doctors and medical students were very happy that they could contribute to the cause. 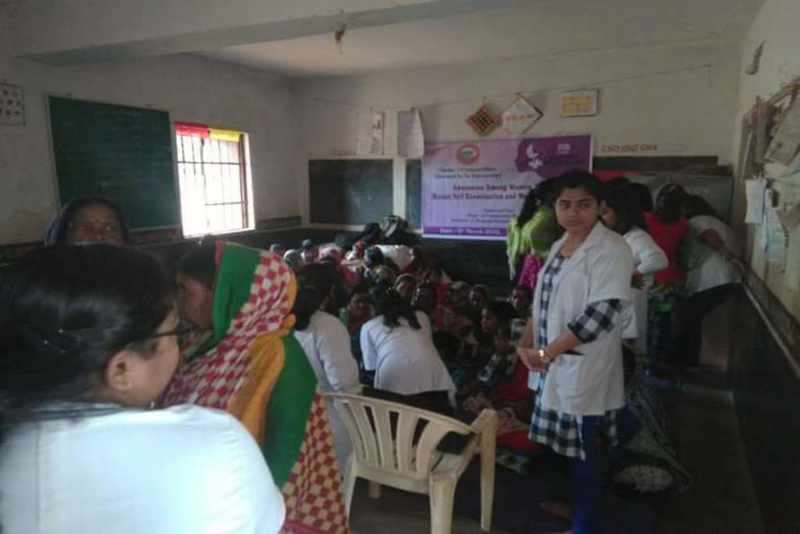 About 20 medical students and doctor visited our villages and spoke to a diverse audience of school students, young mothers and older women, touching a number of women in the villages. As an icing on the cake they were shown educational videos. There was a total of about 150 women who attended these sessions. Ammachi Labs staff also helped in organizing this event. After the event, Namita, 23, said to Ashit that she might possibly have a problem she did not know about due to lack of awareness and that she was thankful for the sessions. She and a few other women met the doctors after the event and expressed their concerns. The doctors asked them to visit the hospital and promised free consultation to all of them!! Amrita SeRVe is helping women across the nation, in more ways than one, to celebrate womanhood every day, shattering the shackles of suppression.